The Executive of the Memoria Viva Society of Edmonton is proud to announce that after winning last year’s Latino Awards Gala “Best Non-Profit Organization”, we have been nominated once again in this category. We appreciate the nomination and of course accept. 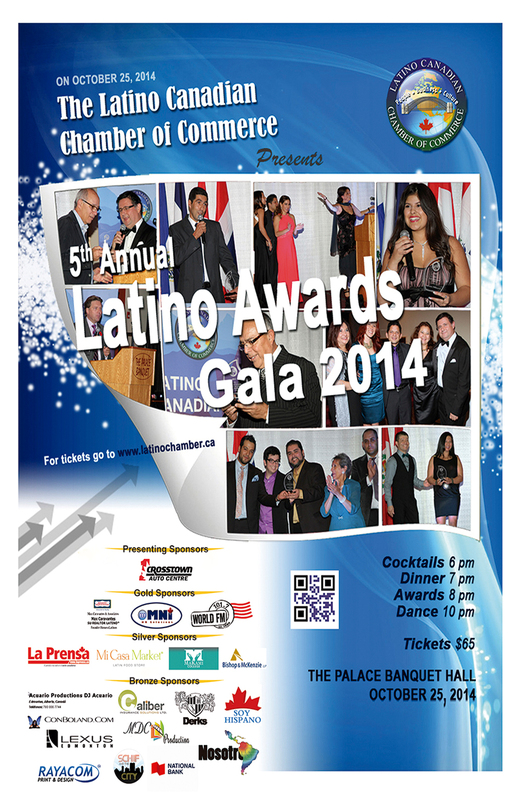 We invite all of our community to please come out and support the Latino Canadian Chamber of Commerce at this year’s gala. 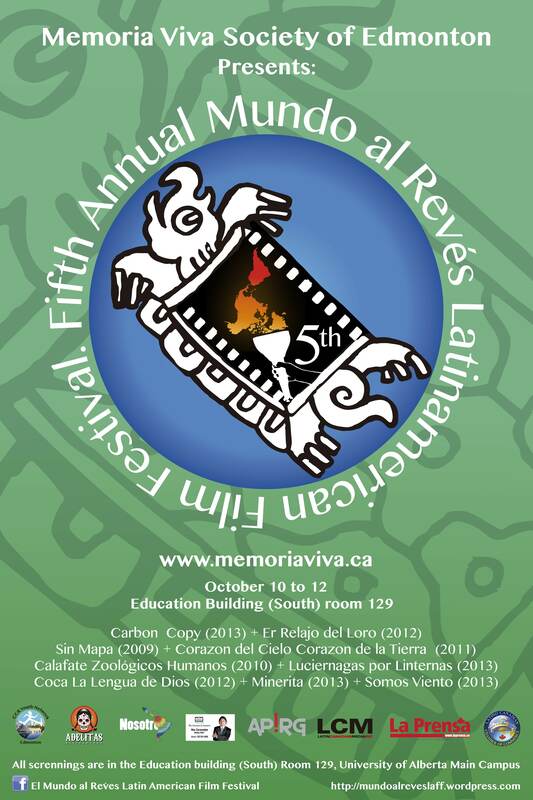 This year the Memoria Viva society of Edmonton is coordinating the Mundo al Revés People’s Choice Award for the most liked film of the 5th Annual el Mundo al Revés Latin American Film Festival. We invite you to vote for your favorite documentary or film of this year’s festival by filling out the form below. The deadline to cast your vote will be 4 PM on Sunday, October 12, 2014. We will announce the winner of the Mundo al Revés People’s Choice Award that same evening on our website and inform the director of the winning film by email and request a response over skype, which once complete we will also upload to the website. We thank you for attending the 5th Annual El Mundo al Revés Latin American Film Festival. Por los últimos cinco años la Sociedad Memoria Viva de Edmonton a estrenado documentales sobre la realidad actual de latinoamérica y los movimientos sociales quien a actualizado los procesos democráticos en la region. Los invitamos cordialmente que nos acompañen este fin de semana 10 a 12 de octubre para descubrir la cinematografía y analysis que forma una vista crítica y reveladora a los hechos socio-economicos, políticos y culturales de nuestro continente lleno de diversidad. Para una lista completa de los documentales cuales estrenaremos junto al horario por favor visite el sitio web del festival. Para mayor información podrán llamar a Ruben al número 780-708-7289. For the last five years, the Memoria Viva Society of Edmonton has screened documentaries regarding the current reality of Latin America and the social movements that have given rise to the new democratic processes in the region. We cordially invite you to join us this weekend, October 10 to 12 to discover the cinematography and analysis that forms a critical and revealing view of the socio-economic, political and cultural facts of our continent full of diversity. For a complete list of the documentaries to be screened and the schedule please visit the festival website.